Entering the online betting fray from down in Malta is the Royal Panda Sportsbook, having been brought in as a useful betting addition to the brand’s existing casino output. £20 FREE BET18+, first deposit only, T&Cs apply. Casino bonus: min. £10, max. £100. Bonus/free spins winnings wagering requirement: x35. Max. bonus bet: £5, can vary. Free sports bet: Minimum deposit and stake £20 (min odds 2.0). Credited after all qualifying bets settled. CLAIM BONUS 18+, first deposit only, T&Cs apply. Casino bonus: min. £10, max. £100. Bonus/free spins winnings wagering requirement: x35. Max. bonus bet: £5, can vary. Free sports bet: Minimum deposit and stake £20 (min odds 2.0). Credited after all qualifying bets settled. Visit Royal Panda Sportsbook today and bet on a range of great sports, you can also enjoy their latest welcome bonuses. 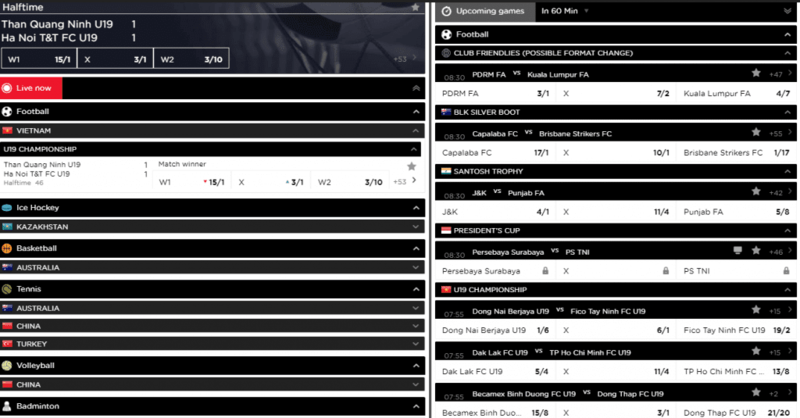 This is one of the most exciting betting and punting platforms online, largely offering massive scope for live and in-play betting, which are of course continuing to grow in popularity with the online market. This European brand does well to ensure that it competes with some of the biggest names in UK betting, even those which are already well established on the British high street. The sports betting covers a wide range of sports and events across a comprehensive interface that is both easy to use and chock full of opportunities for newbie punters and seasoned betters alike. What’s more, it is one of the top sports bet sites around to offer competitive welcome deals. However, you shouldn’t just judge a gaming website on its deals and bonuses – as there is much more to consider through our Royal Panda review before you should start putting your money where your mouse is! The current welcome deal here is rather similar to that which you may find elsewhere on the web, albeit from slots and games brands. Opening deals that largely come forth from betting sites will offer you extended odds or additional chances to win. Here you’ll be able to claim a great bonus when you sign up to the site. If you have plenty of gaming cash to hand and aren’t afraid to try out a new online sports bet site, the Royal Panda new customer offer could be well worth looking into. You will need to make sure that you meet a number of terms and conditions should you wish to take advantage or possibly cash out, however – though these terms aren’t necessarily as restrictive as some Royal Panda sportsbook review pages will advise. At present, it appears that you’ll be able to bet and wager from odds at a minimum of 4/5, and you’ll need to wager back seven times should you wish to cash out on the back of a bonus deal. This is going to mean you’ll need to make some lucky picks and you’ll need to stick around – but for seasoned punters and even those looking to really sink their teeth in, this shouldn’t be a problem. The Royal Panda Sports betting arena is wide open to a range of different sports – even eSports betting – meaning that it could be considered one of the most interesting and progressive sportsbook platforms online today. Throw in their brilliant welcome deal and you have tons to write home about. Check out the Sporting Bet review to see another similar brand. Covering sports as diverse as tennis, volleyball, ice hockey, boxing, snooker and various TV and political events, there’s plenty to get stuck into. However, there may be less on board here for horse racing enthusiasts than you may find elsewhere on bigger named brands and those you may find elsewhere on the web. See the best horse betting sites if you are interested in these features. You can find other betting sites including boxing and much more too, so make sure you look around out site for the best deals. All things considered, the platform does cover itself well when it comes to popular new movements in online betting – areas such as live betting are offered a fair amount of coverage here, and with some of the bonuses available to new players being particularly interesting, there are plenty of reasons why you should get involved if you are new to the online punting scene. Plenty of brands such as this are offering appealing alternatives to the standards provided by the bookmakers and high street gaming centres of old. Check out our LeoVegas Sports review and also the TLC Sportsbook review to see similar brands for sport betting. It may well be time you start getting involved! The brand uses BetConstruct software to bring its variety of sports betting markets and odds to desktop, laptop and mobile betters alike – and it’s a software standard that has worked wonders for other names online such as the EnergyBet site and VBet, meaning that the design features and layouts here are at least tried and tested. It’s award-winning software, too, meaning you’re in safe hands regardless of whether you’re a gaming green horn or have been around the betting block a few times. The site is generally well-designed though some may argue that it is showing its age slightly – there are more streamlined and modernised sites out there which offer a greater variety on a smoother and more easily-accessible basis. The focal point of this lies in the live betting section of the site. 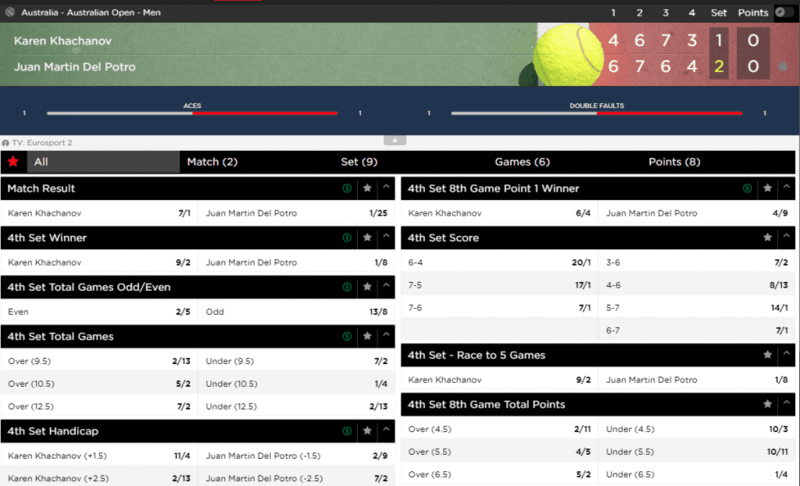 There is plenty of scope given to it, to the extent that it almost feels like the default option – meaning that it can be a little tricky to go looking for standardised betting outside of the in-play coverage. Regardless, the site is still optimised for mobile play with the Royal Panda login, meaning that anyone hoping to take their sports betting away with them on the move needn’t worry about being restricted or missing out. Royal Panda Sports betting and odds book is backed up by a great funding and banking system, meaning that if you have played games or placed bets elsewhere on the web, it’s likely you’ll have a payment and withdrawal method which will suit you well here, too. New and existing customers can use Visa, Visa Debit, MasterCard and Maestro on the UK cards front – while if e-wallets are more on your radar (and why not), you can also use Neteller, Skrill and PaySafeCard. A lack of PayPal functionality here is glaring despite the brand’s age and experience, though we can’t quibble at the scope of options available otherwise. Check out some PayPal sports betting sites if you prefer using this method when placing your bets. Skrill and Neteller users can expect instant transfer of funds on request – great news for anyone looking to win big and to cash out almost straight away. Other users drifting towards cards and other e-wallets may have to wait a standard time of between 1 to 5 days – fairly competitive rates online right now which shouldn’t ever be sniffed at! If you’d prefer to use bank transfer, the site also has provisions in store for you. Always worth knowing! The sports betting services are available across a whole host of different platforms and devices, meaning that it is one of many modern brands to thankfully approach portable players as the norm and the standard. The Royal Panda mobile features work just as well on smartphones and tablets. While there are still many of us playing via PC or laptop, it’s becoming more and more commonplace for betters and gamers to drift towards their phones and tablets for their fixes. This is particularly true for football betting online as so many people like updating their bets on the go. With intuitive mobile sites such as these – why would you ever want to go back to standard desktop gaming? Once again, there are more modern and more accessible sites out there – though what is here will likely appeal to the majority of betting enthusiasts looking for something a little different. The site is based out of Malta and therefore offers a slightly different slant on what you may come to expect from UK brands and platforms. When you’re in and swinging with the site’s live betting markets and other features on your phone or tablet, you’ll be well away. Simply visit the main site from your device and browser of choice and the platform will morph to your display dimensions to offer you a comfortable and flexible experience. The Royal Panda new customer offer here is well worth looking into, and as one of the more intriguing gaming brands around it’s not hard to understand why so many people are interested in getting on board. However, the site’s design may not appeal to all comers – though the mobile site and flexibility therein will very much appeal to the modern gamer. We hope there are changes set to be made to the sportsbook features in future – but for now, we have a site that is fun, flexible and worth a closer look for all punters. If you like this Royal Panda review, why not check out the site for yourself and see what you think?